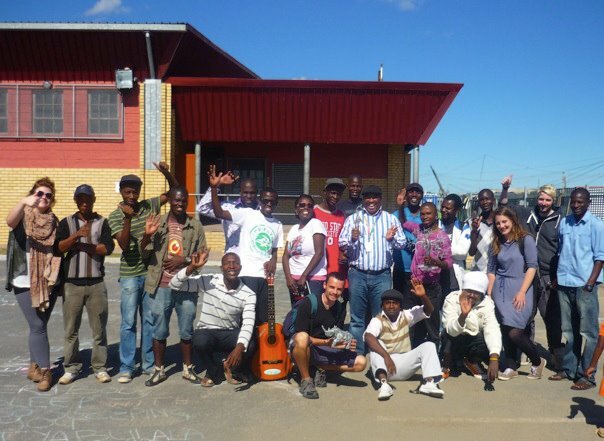 Will Grewar (second from the right, graduated 2011) recently returned from working with artists, musicians, film-makers and craftspeople in Dunoon, Cape Town, South Africa. They worked to develop a shared vision and created an a artwork as a visualisation to communicate their goals to policy makers who now recognise and support them as an artists group. Will’s masters project Creative Coach was a concept for a creative networking tool for the University of Dundee’s Access to Creative Education (ACES) project to link young people’s hobbies with creative practice to give them a pathway into Higher Education.